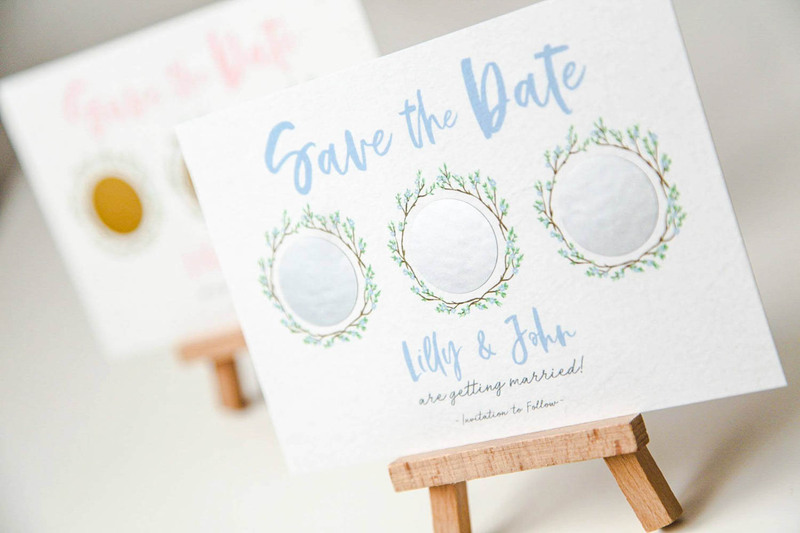 It could be a little bit early to be thinking of snowflakes and jolly festivities, but for those of you planning cosy winter weddings, it's never too early to let your guests know of your upcoming special day! Here's a lovely festive wreath addition to the fun and interactive scratch-off collection! There is also an option of gold or silver scratch-off circles. 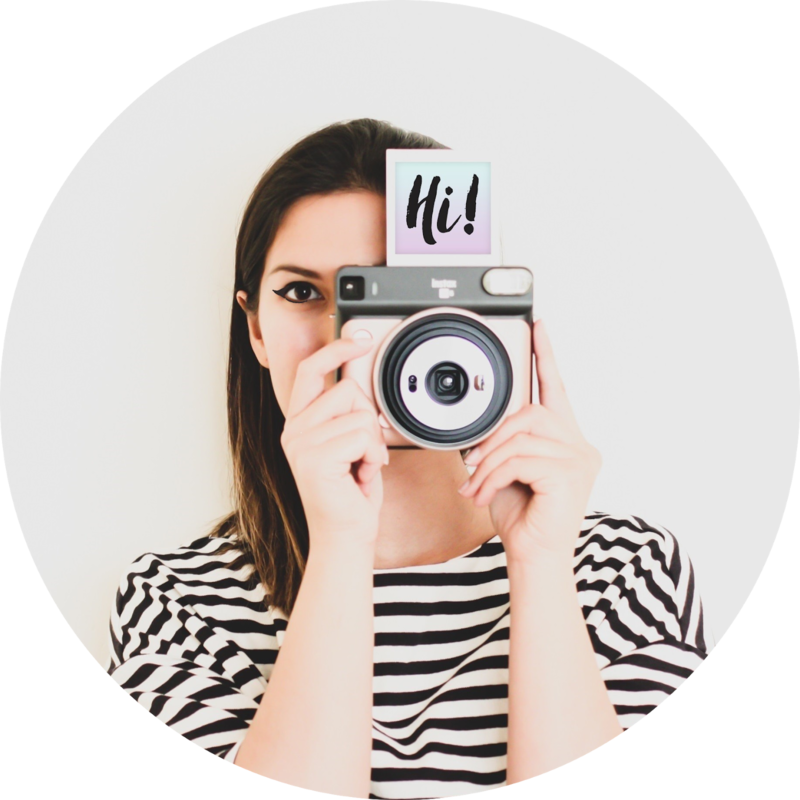 To order an unpersonalised physical sample, please visit my Soulmate Stationery Etsy shop. Bring on the winter weddings! 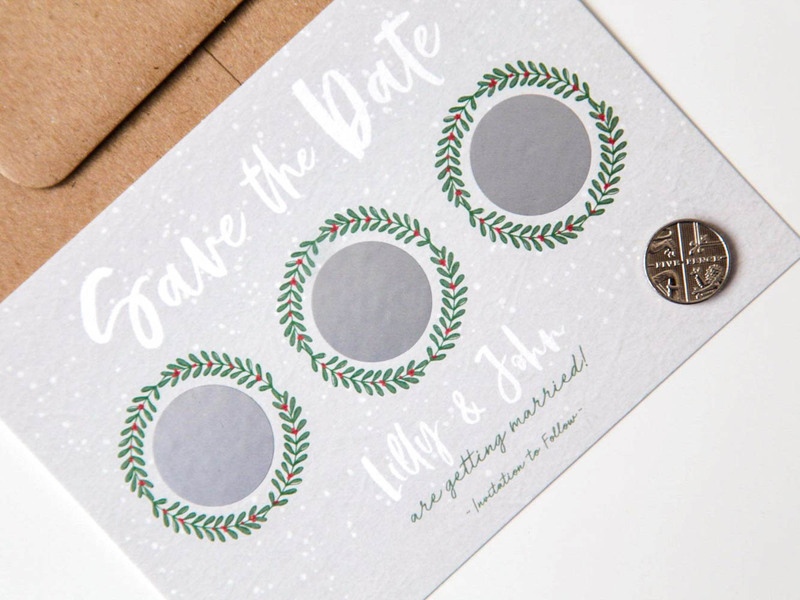 Say "hello" to a new addition to the scratch-off save the date collection! Embrace the love of nature with this dainty floral wreath design combined with a fun and interactive way to reveal your special day to your guests! The colours of the delicate flowers on the wreath can be edited to match your wedding theme for your personalised order. 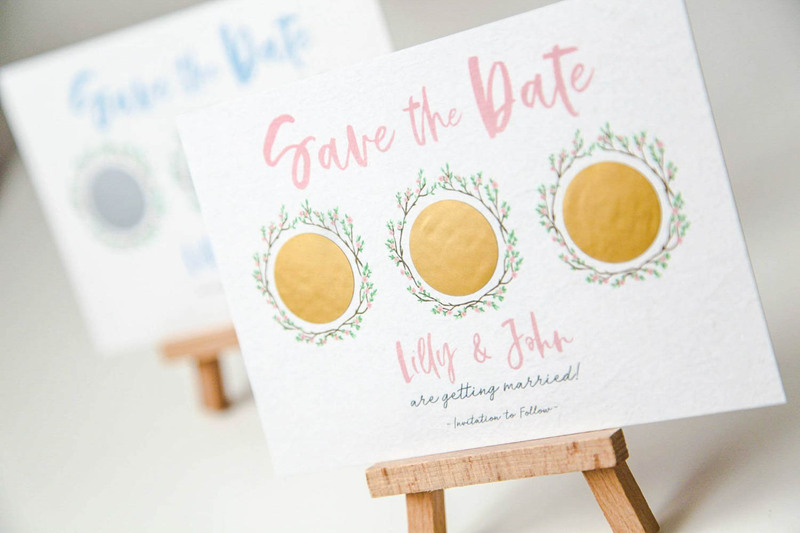 You can customise your save the dates with gold or silver scratch-off stickers. Unperonsalised samples can be ordered from the Soulmate Stationery Etsy shop, if you want to see a physical sample before ordering your personalised order. How romantic would it be to be married under the twinkling stars? 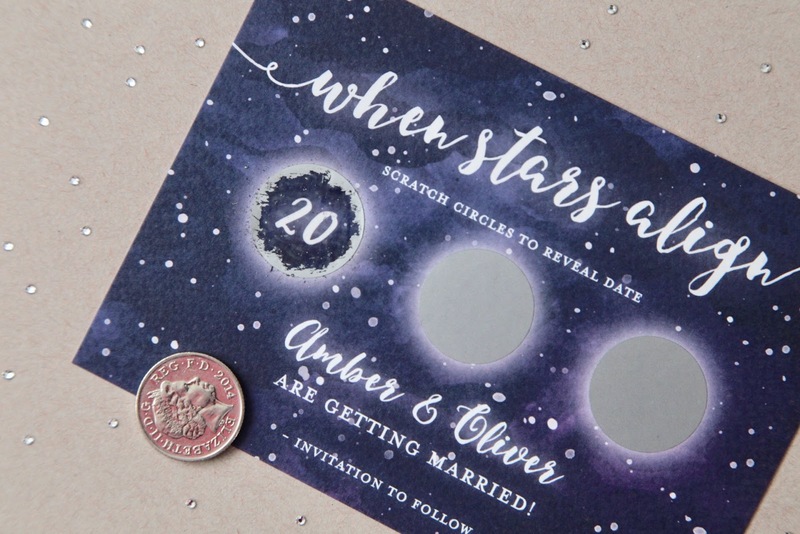 This scratch-off Save the Date is perfect for those dreamy celestial lovers or for an outdoorsy bohemian themed wedding. Your guests will have fun revealing your special day by scratching off the silver stickers (which almost resembles glowing stars or moons!). This personalised save the date can have the wording, "when stars align" changed to, "save the date", as one recent customer requested. I have four different designs with the scratch-off feature in my shop, and I'm in the process of creating many more wonderful designs! Which is your favourite so far? Fancy a cup of tea and a slice of cake? I have just launched a new design for the scratch off collection which features darling doilies *throws confetti*! 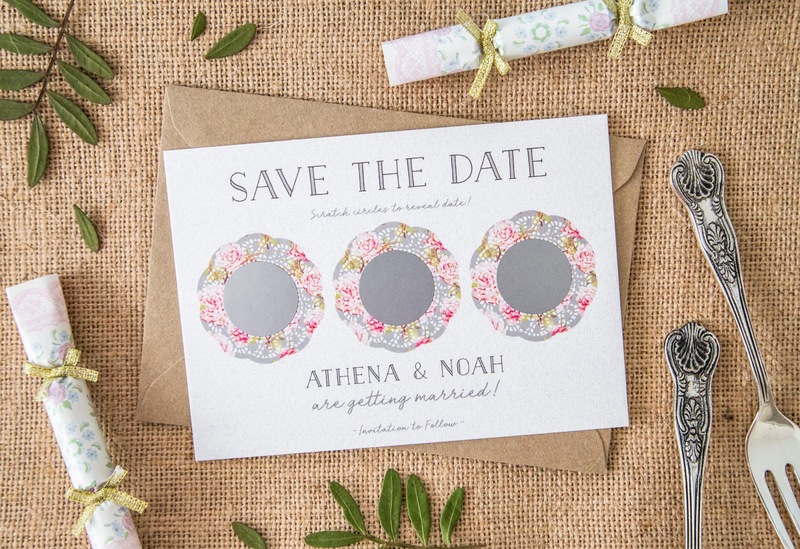 These quaint save the date invites are a perfect match for those shabby chic, country fair and tea party themed weddings! The plain doilies can be customised to whatever colour you have in mind and the background of the floral patterned doily can be amended too! A combination of my interest in geology, nostalgia of childhood art, and my love of experimenting lead to the creation of these agate/geode artworks! These little gems are inspired by my expanding rocks and minerals collection. They are finished off with gold mica paint. The agate art is 'grown' which makes each one unique! I love the unpredictably of each piece ♥. I currently feature my art process on my Instagram: @agatealchemy. Artworks will become available to purchase soon on Etsy - I just get so carried away creating them! If you are interested in purchasing my agate art, just give me a shout via my Contact page or Facebook page.